We surround ourselves with the best musicians we can find and sing the most popular songs available. As things come together, we experience a rush of emotion and satisfaction. But this fades over time as tips and techniques become more important than prayer and time with God. We end up wondering why we’re not more appreciated, happy and loved. So we crank everything up another notch–hoping the intensity will increase the sense of intimacy with God we’re longing for. But it doesn’t, and we risk becoming another statistic: one more choir director/worship leader who stays less than 36 months in one church… just long enough to figure out where the good restaurants are. 1. Make Prayer the First Act Rather than the Last Resort. Jer. 33:3 says, “Call to me and I will answer you and tell you great and unsearchable things you do not know.” When we make prayer a priority, God can lead us. This is essential when making decisions for a worship community. What songs should we choose? Pray! Who should be on the worship team? Pray! 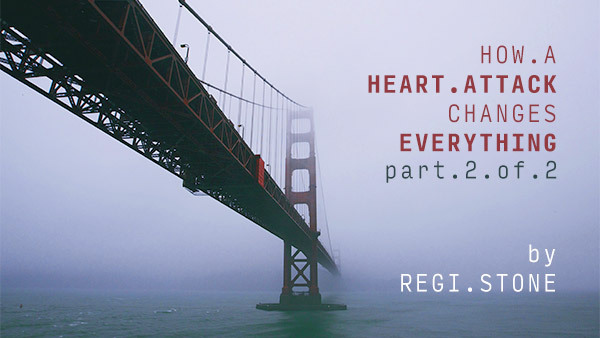 How can we create a worship experience that is challenging and life-altering? Pray! If you’re a worship leader, make daily prayer as regular as eating and sleeping. If you’re searching for a worship leader, find someone who lives out this priority. 2. Focus On Our Prayer Life Before Our Set-List. A well-conceived set-list is important in the same way a well-constructed sermon is important, but it’s no substitute for a committed prayer life. If anything, it’s the result of one! A leader with a vibrant prayer life will inevitably develop an awareness of God’s presence. Unfortunately, many worship leaders today feel pressured to simply sing the latest, most popular songs as if these have power to conjure up the presence of God. Again, there’s nothing wrong with new songs–but it’s essential that we prioritize actions that will actually affect outcomes. If you’re a worship leader, consider investing more time in preparatory prayer and see what God does! 3. Learn to Worship Away from the Stage. While a few hours on Sunday morning may constitute our “worship service,” our “true and proper worship” (Ro. 12:1) happens the other 165 hours or so a week when we are intentionally living for God’s glory. Jesus said his Father was seeking those who would worship Him in spirit and truth. Both are necessary for God-honoring worship. We worship Him based on the truth of who He is and the truth of who we are in Him. We worship with our whole heart and in total submission to Him. When we practice worship this way, we declare that God is worthy of our reverence. 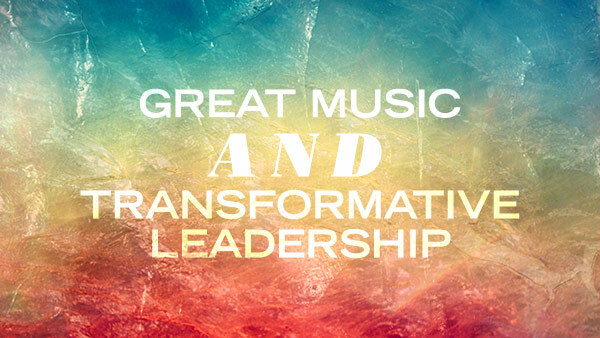 If you’re a worship leader (or even if you’re not! ), learn to live—not just lead—worship. Prayer does change things; but mostly it changes us. There are lots of talented people in the world, but that doesn’t mean they have the capacity to lead and love a congregation and build long-lasting relationships. If we really want to take our music ministry to the next level, this will–more often than not–require us to spend more time on our faces before God. That’s when we’ll start to see true transformation. 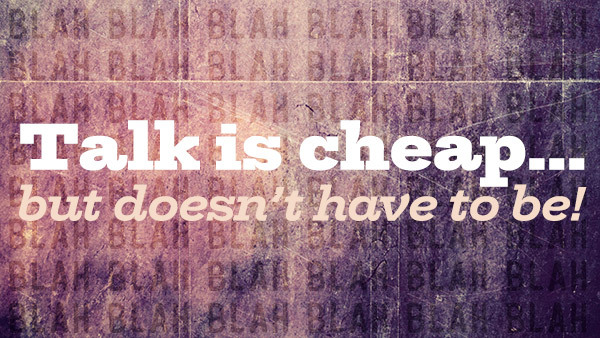 Talk is cheap…but doesn’t have to be! 1. Only say something if you have something to say. Let that sink in: only say something if you have something to say. Our role as worship leaders requires discernment. We’re not cheerleaders with megaphones. We’re not party-hosts at a casual 4th of July barbecue. Rather, our collective worship is to be a profound experience where we are connected to God and to one another through song, prayer, Scripture and spoken word. What we say matters. 2. God’s Word can be the perfect word. And if we’re going to speak, remember that there’s often nothing more powerful than a short passage of scripture, especially when we invite the congregation to read it aloud with us. It can do more than just connect the songs together with the sermon, God’s Word actually transforms us as we focus on worshiping Him. 3. Even though we’re onstage, it’s not about us. 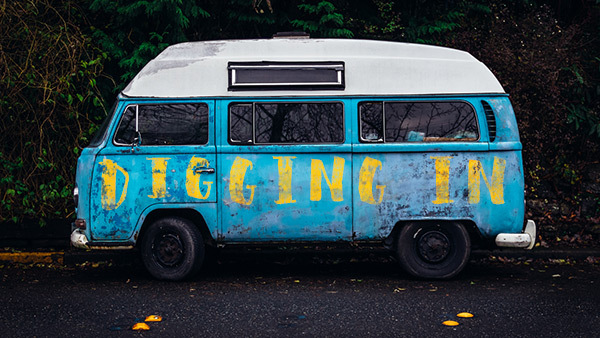 My friend Vince Wilcox blogged about the importance of not being glib as we engage the congregation [Read “How Y’all Doing!” article here]. His point wasn’t that we shouldn’t greet folks with joy and enthusiasm–because we obviously can and should. Rather, his point was–as worship leaders–we should care more about loving our people and praising God than falling prey to the power of the microphone..
Can you imagine hearing God sing over you? Can you picture Him rejoicing over you? What must that sound like? Look like? Take a moment and close your eyes and imagine. Allow your mind to picture the God of the Universe dancing, rejoicing and singing. Over you! Several years ago I didn’t know a verse existed that mentioned God singing. But tucked away in the third chapter of Zephaniah, verse 17, it was there all along. Wow. Think about it. Why would God, who is perfect, sing and rejoice over us when we aren’t? I know we’re his children but as kids I don’t think any of us remember our parents singing and rejoicing over us right after we disappointed them. Do we? I love that His promise isn’t based on what we do. It’s just what He does. This article is purposefully short. It doesn’t come with 3 points and a prayer. It’s simply here to remind you of the great truth found in this verse. 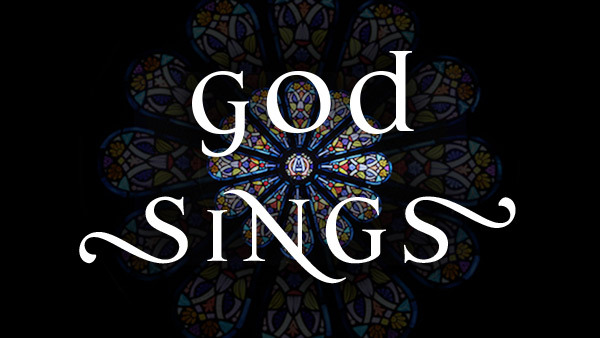 If it’s the first time you’ve been introduced to the idea that God sings, welcome to another one of God’s blessings. Put your trust in Him and know that even when you’ve had a tough day, or when you’ve failed him, He still sings over you. Growing up in the South, we always referred to a slow rain as a sprinkling. Others called it a mist or a drizzle. Whatever you call it, it gets everything wet. If you watch the grass or a bed of flowers during a sprinkling, it seems like the flowers take on a different personality. And the grass seems to spring to attention as if the rain has somehow caused it to realize its full potential. I love the rain. I love to listen to the rain. When I was eight years old my grandparents lived in an old farm house surrounded by pecan trees and gnats. There were many afternoons when the sky produced clouds and an afternoon shower. After a shower the evening became muggy or cool, depending on the time of year. But one thing was certain at any time of year: the rain changed everything. There was nothing quite like sitting on my grandparents’ front porch in their old gray wooden swing, listening as the rain poured onto the tin roof. Years later, I still enjoy a good rain. Not the kind that comes with harsh winds, thunder, and lightning, but the gentle kind: sprinklings, afternoon showers. Sometimes I experience an altogether different kind of rain. I can’t see it. I can’t touch it. I can’t smell it. But I can feel it. It permeates every nook and cranny of my being. I call it a holy rain. I don’t know why, really. I guess because the same God who causes the rain outside to fall also has something to do with this rain as well, and it feels very similar. Have you ever been in the middle of a bad or difficult situation where you didn’t know what to do but then you felt calm around you? Have you ever experienced peace when your mind was in turmoil? I have, and it’s really much like the rain in a way. If you imagine peace falling just like the rain, all around, soaking your entire being, bringing gentle comfort and unexplainable peace, that’s the rain I’m talking about. Growing up I used to hear people talk about God being right beside us. I wasn’t really sure what that meant. Fortunately, my son seemed to grasp it better than I did. When he was four years old, my wife told him that God is everywhere. A few nights later, he had her look under the bed to see if God was there. He was so certain that God was there that he expected my wife to find Him under the bed or behind the door. Many religious groups have their gods in clear sight so they can touch and see them. But we pray to and worship one who we can’t see. We know, however, that when we pray or worship God, He smiles. There’s also a little scripture well hidden in Zephaniah 3:17 that says God rejoices over us with singing. That’s powerful. No other god makes that claim. The reality is He is always near us, longing for our conversation and worship. We need to have the ability, like my son, to feel certain at all times that God is right beside us. When it rains these days I can’t help thinking that God is blessing the earth so that it may flourish. That is exactly what He does in our lives. He rains down grace, mercy, faithfulness, healing, or whatever blessing He sees that we need. He is a gracious God who loves us more than we could ever imagine. Regardless of the circumstance, time of day or year, there is always something to give God thanks and praise for. 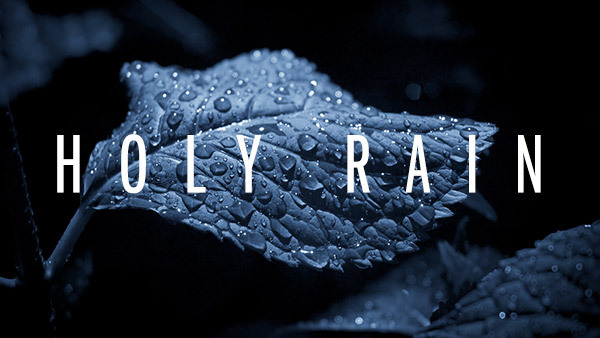 And it’s that belief, that awareness of His really being there, just as real as the rain, that allows His holy rain to soak our lives, helping us to reach our full potential. Bottom line: The enemy is after your soul. Scary? It’s just truth. He seeks to destroy all that is good. And it doesn’t matter how long it takes or what hoops he has to jump through. The chance of taking you down is the fuel that keeps him motivated. However, most of us live in a bubble that feels relatively safe. Our minds are rarely on the fact that a roaring lion is on the outskirts of our safety net. It’s not that we should live in fear. But we must be mindful of an evil presence that desires our worship and our very lives. This isn’t a middle school scuffle we’re talking about. This isn’t some tall tale. This is a life-or-death fight to the finish. (The Message, Ephesians 6:10-12) Apathy. Neglect. Carelessness. Fear. Anger. Passiveness. Busyness. Pride. Lust. Cheating. Addictions. When these words are present in our life, we’re inviting a powerful and persuasive spirit into our safe area. Be shaken! Not fearful! But shaken! If you aren’t then read this again and again until you feel the seriousness of the situation. 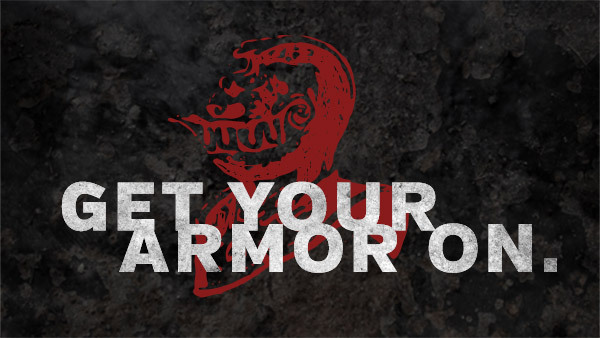 It’s time to get our armor on. 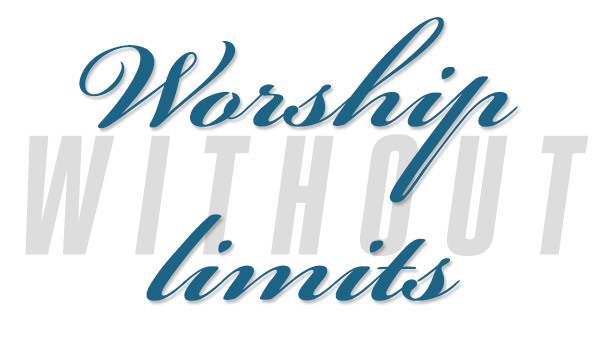 Worship shouldn’t have limits. However, when worship is placed in a box only to be taken out for the Saturday or Sunday weekend service, worship loses its flow. Psalm 150 says, “let everything that has breath praise the Lord.” We’re also told to “pray without ceasing“. And Psalm 34:1 says that our lips and life should offer praise continually. Continually means recurring regularly or frequent. Not interrupted. Steady. If we set boundaries around worship only to be visited certain times of the week, we miss out on an opportunity to experience the relationship with God we were meant to have. It’s so important for you and I to live out worship every day. That’s more important than any song we can sing. This is a call to take down the fences and walls that divide and separate us from God’s presence. Let’s throw away the box and let worship roam free. That’s the way it was meant to be. As the long Thanksgiving weekend approached, my mornings were a mix of scripture, coffee and questions about the future. Although I desperately wanted to speak with a local cardiologist, message after message to physician answering services went unreturned because of the holiday. I visited our music room often. Playing the piano seemed to drown out my fears. From the moment I’d heard my EKG didn’t look good, anxiety moved into a spare room in the corner of my thoughts. If my breathing was labored or if there was an unusual pain, fear moved throughout my whole mind as if it were in charge. I prayed for relief. That Saturday morning my phone rang. He identified himself as Jess from Alabama. Who but a telemarketer would be calling me on a Saturday? I didn’t feel like listening to some sales pitch but he said he was calling about a vehicle I was selling. Unbelievable. In six months, I’d only had one person show any interest in that old car. Within five minutes he made an offer and I accepted. I told him I would email a bill of sale and he agreed to send a check later that day. For now he was heading to bed because he had been up all night working. My curiosity got the best of me and I asked about his job. Jess said he was an anesthesiologist and worked with a group of heart doctors in his town. I almost dropped the phone! My emotions were all over the place. Fighting back the tears, I told him he may have called me to buy a car but I needed to talk to him. I told him about my recent heart attack and that I couldn’t get anyone on the phone to answer my questions. I’ve never knowingly experienced a visitation from an angel but–at this moment–I felt like I was talking to one. He asked a few questions and then proceeded to tell me the four medications I was taking. I hadn’t said a word about any of them. He was right on all four. And then, one by one, he walked me through each of my medications; helping me to understand some of the side effects I had been experiencing. He encouraged me to trust. He assured me I would gain strength and that–with each passing day–my fears would lessen. Then Jess gave me his cell phone number and told me that I could call him if I ever felt fearful, even in the middle of the night. Unbelievable! After our call was finished, I was overwhelmed with a profound sense of peace. I knew that God loves us in the details. But in that moment, I was experiencing it. As I spent my Tennessee mornings working through the emotions of recovering, my wife went out early each day to search for our lost Labrador. Looking back, the text I had received a few days earlier from our dog trainer couldn’t have come at a worse time: I was in a hospital ER! I had texted the trainer back asking him to communicate with Kim—all the while wondering where our Lulu could possibly be. Was she lost in the woods? Had someone found her? How did this possibly happen? Was this all some horrible dream? As concerned as I was about myself, I found myself praying for Lulu’s safe return—even as I was being wheeled into surgery. In spite of all the reasons we wanted to have her trained, now we just wanted her back and would gladly take the scratches and dirt with her. Week after week, Kim’s search continued. She and our friends plastered more than 50 laminated signs all over the area where Lulu went missing. Facebook posts and frequent calls to every kennel and vet yielded nothing. Through many conversations, it became apparent that our dog had actually gone missing much earlier than we had initially been told. Our fading hope was running out. Finally, someone called to say Lulu might be at the local Humane Society shelter. A few minutes before Kim had stopped there to hand out a flyer and had contacted them twice in the past week. Nonetheless, she went back in to look at all the dogs. I was home resting when my phone beeped. It was Kim, asking me to come outside and help her. I opened the door and–for the first time in 37 days–saw the cutest Labrador in the world. Lulu was finally home! The Humane Society had taken her in just a few days after she went missing. The real miracle was that no one had adopted this beautiful animal in the weeks she had been there. Our prayers had been answered. These days, our new wood floors have some scratches and Lulu occasionally tracks in a little dirt from the outside. But more importantly, our lives feel complete with her here. She’s where she’s supposed to be. Home. My life has changed over the past eight months. I’ve committed myself more intentionally to the discipline of good health. I’m eating and exercising like my life depends upon it—because it does. At the beginning of Cardiac Rehab, I couldn’t even walk up the hill beside our house. Now I climb it again and again. Cardiac Rehab is not just about regaining your physical health; it’s about learning to live with the emotions that follow a heart attack. Will I be able to move beyond the fear? Can I do everything I want to do? In April, I graduated from Cardiac Rehab at the Williamson County Medical Center. The staff and friends there have helped me more than words can convey. When I read Scripture, words now take on a more profound meaning: I sought the Lord, and he answered me; he delivered me from all my fears (Psalm 34:4). I’ve read that verse over and over again. I’ve underlined it in my Bible. I’ve highlighted it and I’ve shared that short but powerful passage with many others. I’m living out each word daily. Prayer is more important than ever. Months before I had my heart attack, I was riding down the interstate and felt I should pray for my arteries and veins to remain open. Although I didn’t know why I was praying that prayer, I kept on praying it. It wasn’t some eloquent prayer; just Lord would you keep my veins and arteries open? Scripture tells us that the Holy Spirit helps us pray even when we don’t know what to pray for. Looking back on November 23, I now know why that prayer was important. Here’s the deal: if you ever feel impressed to pray about anything, just pray! Don’t ask questions. Just pray. Our prayers make a difference. I now hug my close family and friends whenever I see them–because I can. Because, I’m still here. Every time I wake in the night, I say thank you to a loving God who I’m learning to trust more and more each day. I still fight the urge to spin a few more plates—the temptation to be busier than ever before. We let ourselves believe that the more plates we spin, the more meaningful our lives are. But I know from first-hand experience that when you’re being pushed down a hall toward a room for a heart procedure, none of those plates really matter. Not one! I didn’t think once of my home, car, motorcycle, business, dreams or my bank account. I was thinking about my wife and daughter and son and dog–praying for God to keep his hand on me. Months have gone by and I’m still trying to keep those priorities. At the risk of sounding cliché, I’m living proof that the Lord can use even the most desperate circumstances of life to help clarify our priorities and help us focus on what matters most. Thanks for letting me share this with you. I appreciate your prayers and pray that you will be encouraged by the truth that my angel friend, Jess, shared with me: Trust the Lord. As you trust him, you’ll make progress. Your anxiety will be replaced by peace. And when you feel fear, even in the middle of the night, you can call on Him. It was warmer than usual last October and life was busy. Between a hectic traveling schedule and running a new business, I seemed to be more tired than usual. Maybe my age was catching up with me? We had just moved into our new home and the huge job of unpacking and moving furniture took every ounce of energy I had left. I hate to admit it, but the kids were driving me crazy too—along with the dog. I got the brilliant idea of sending our 10-month-old Labrador off for training. The last thing we needed was our dog chewing up the corners of our new cabinets. Each day, new questions piled on top of unanswered ones. Where should we put the furniture? Should we convert the dining room into a study? Do we have a space for that armoire? Kim and I bought this house thinking we would be here for at least six years, maybe longer. In six years, our son would graduate from high school, four years after his sister. Then we could downsize to a little house in the country. On November 23rd I was scheduled to lead worship at Mount Pisgah United Methodist Church, just north of Atlanta. I had packed my overnight bag and left home Saturday afternoon, stopping along the way at the usual places. Although my trip was quiet, my back and neck plagued me. For the past several months, I had visited a chiropractor and a few days earlier, I had received a shot to try and ease the pain. I arrived and checked into my hotel and enjoyed sushi at my favorite spot just down the street. Then I turned in early for some much needed rest. I didn’t sleep well. When the alarm clock went off at 6 AM, it was like a clanging bell in a room full of sleeping babies. I was tired and tense and the last thing I wanted to do was get up. I found my way downstairs for a bowl of oatmeal but couldn’t eat anything due to my neck and back pain. On the drive to church, I tried to stretch out the tension, all the while wishing I were back home in bed. Instead of attending the pre-service staff meeting, I sat in the hallway feeling extremely anxious. This wasn’t a new feeling. I had felt it many times in the past six months; I figured it was something to do with my back and passed it off. Rehearsal was about to start so I made my way in and sat at the keyboard. After the usual “hello’s” to everyone, it was click, click, click and we were into the first song. Somewhere around two-thirds of the way through, I stopped because the tension in my neck and back had increased and there was now an unusual feeling in my chest. I kept thinking, if I can just get through these four songs, I’ll go to the back and this will all pass. When we finished the last few measures of the first song, I couldn’t continue. I excused myself and found a couch in a small room just off the sanctuary where the pastors meet prior to the service. I sat down for about 20 seconds; the pain increased in my back and neck. I opened the door and asked the first person I saw to please get me help. I wasn’t sure what was happening. Looking back, it’s all a blur. I remember lying on the floor trying to escape the pain. Someone was calling 911. Someone was putting baby aspirin in my mouth while a nurse asked me questions. My fingers felt like water, tingling as if electricity was shooting through them. What was happening? The EMT arrived and the questions continued. How old are you? Do you have any chest pains? Are you allergic to any medicines? I begged them to make the pain go away. They got me on the stretcher, down the elevator and into the ambulance. The hospital was twelve miles away. As the siren blared, I shivered underneath the blanket. It felt as if the heat wasn’t working. I wondered if I was experiencing extreme muscle spasms and this would all be over soon. The ER was abuzz. Two nurses came in followed by a doctor. Tests followed. Blood test. Enzyme test. EKG. A few minutes later, the doctor told me with very broken English that my EKG didn’t look good. I asked what that meant. He said it again: Your EKG doesn’t look good. Then he walked out. I looked at the nurse and asked what that meant. She was apologetic for the language barrier but said my EKG had some abnormalities and they were going to perform more tests. The doctor reentered, gave me three nitroglycerin pills, and told me that I would be admitted and scheduled for a heart catheterization at 10 AM the following morning. I was in disbelief. I really thought they would be releasing me at any moment. My friend, Pastor Mike Roper, met me at the hospital and called my wife to let her know what was happening. Pastor Steve Wood and his family also stopped in to pray with me. Once everyone left, I was alone with my thoughts when my cell phone beeped to inform me of a text. It was the dog trainer we had hired to train our 10-month-old Labrador. He texted to say he had lost our Lulu two days earlier. I couldn’t even begin to process this news, so I texted him back asking him to please contact my wife. Was I living out a really bad country song? Typically, news like this would cause me to leap into action but there was nothing I could do except let it go. In walked another doctor. I assumed he was stopping by to talk about tomorrow’s procedure. However, he said an enzyme test had just shown that my troponin levels were elevated. Troponin? I had never heard the word troponin in my life. But this was all the news they needed to reschedule my procedure. He said my catheterization would take place within the next 45 minutes. And, just like that, he left the room. A long thin tube would be inserted into a blood vessel in my groin and threaded up into my heart for diagnosis and treatment. I texted my wife and asked her to pray. When you’re face to face with sudden uncertainty, it’s a feeling like none other. Talk about overwhelming! There was nothing to do except pray and trust. The outcome was in God’s hands. It’s very disconcerting to be on a stretcher that’s being pushed down a hall toward a place you’ve never been. When we finally stopped, I lifted my head to see the entrance of the Cath Lab. My pulse raced. The door opened and I saw six or seven people readying the room for my procedure. Dr. Gregory Robertson walked up to the bed, shook my hand and informed me that I had suffered a heart attack. I was stunned! He assured me that I was in the right place and that he and his team would take great care of me. With that, they whisked me onto the table. I felt a pinch on my leg and was soon in another world. I caught a brief glimpse of the heart monitor and that’s all I remember. The next thing I knew, I woke up in ICU. I was surprised and relieved to see my aunt and uncle there. Fortunately they lived close. My uncle made sure I stayed hydrated and my aunt kept assuring me that everything was going to be okay. The craziest thing about that day–in addition to having a heart attack–is looking back to see how a few hours can change everything. What I could do for myself earlier that morning I now depended on others to do for me. I was in disbelief. I was exhausted. I was extremely anxious. My wife and kids were back in Nashville under tornado warnings. They would arrive the next morning. I couldn’t wait to see them; but for now, I was hungry and thirsty. Gladys, my nurse, brought me a turkey sandwich and for it was surprisingly tasty for hospital food. After I ate, she suggested I get some rest. I gladly closed my eyes. My aunt stayed the night sitting upright in a chair. I’m sure she didn’t rest very well, but having her there helped me get through the night. I dozed off several times but the slightest movement caused my heart to race. 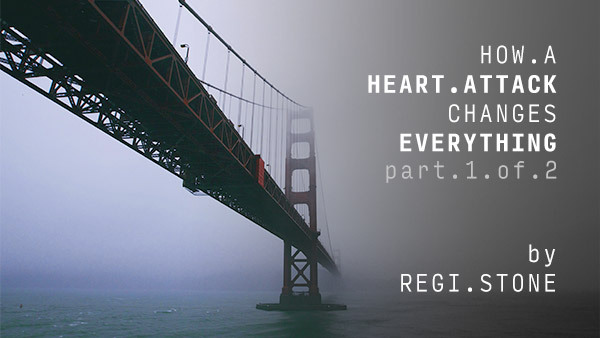 Late that evening, the heart monitor started beeping and a flashing red light appeared. My heart rate went from 66 to 158 BPM in a matter of seconds. I was a basket case and stayed awake for most of the night staring at the monitor. My fears were on high alert. Would this happen again? My eyes were heavy, but I resisted as long as I could. Someone poking my arm for more blood interrupted any sleep I found. The next morning, Dr. Robertson informed me that he had put three stents in my left anterior descending (LAD) artery that was 95% blocked. That artery is famously known as the “widow maker.” He was very encouraging and emphasized that he expected me to make a full recovery. I wondered if he said that to every patient. A few hours later, in walked my wife and daughter. They were a welcome sight. Kim was making small talk to hide her concern and Sophie was quiet, just taking in everything. There was something about all their hugs that felt very different. When you’re wondering if you’ll ever see someone again, it’s all the more sweet when you do. I was so appreciative of the friends and family who came and went and every prayer offered on my behalf. The last time I spent the night in a hospital was when our daughter was born. That was 17 years ago. Here we were again. This time was much different. The hours went by slowly. Kim and Sophia helped pass the time talking about how we would get our dog back and I listened as Kim went over the menu for Thanksgiving dinner. I felt too weak to be part of the conversation so I rested. The following day, I was moved out of ICU and was encouraged to start walking the hall. What you don’t use you’ll lose, they kept saying. It was slow going but good to be on my feet again. Kim and Sophia were ready to get back home, but I was not sure if I wanted to leave just yet. I didn’t want to seem too worried, but inside I was a mess. Dr. Robertson, my cardiologist, stopped in to check on me. I hugged his neck and thanked him for what he did for me. He spoke with Kim about living with a heart patient. Saltshakers were to become a thing of the past along with anything from a box or fried. This was new for us since heart disease didn’t exist in our immediate family. Someone popped in to say I would be released soon. But “soon” turned into hours. Late that afternoon, it finally became reality. Leaving was a bit emotional. As we drove off, I was leaving people who literally had my heart in their hands. Together they had given me the opportunity for a longer and healthier life. We drove four hours home. Quiet. Exhausted. and saves those who are crushed in spirit. . . In my last blog, I mentioned the alarmingly short tenure of the normal worship leader/choir director. Most surveys suggest the average worship leader stays less than 36 months in one church. To put that in perspective: three years is just 1,095 days. That’s a whole year less than it takes to complete high school. I’m sure you’ve heard it takes 10,000 hours to become competent at one thing. Maybe you’ve clocked that much time developing your actual craft, but how much time have you invested leading in one place, in one ministry, in one community of worshippers? Here’s another way to look at it: if we invested 40 hours each week for 52 weeks for three consecutive years, we would total just over 6,000 hours in that ministry. Using the 10,000-hour gauge, that’s still 4,000 hours short of “competency.” I’m not saying that we fail if we don’t clock the “magical” 10,000 hours—I’m just suggesting that we may be missing the really good stuff when we’re focused on short-run satisfaction and results. What if we decided to dig in from the very beginning? What if we committed quality time to building long-term relationships we couldn’t imagine leaving? Investing in friendships that went deeper than simply getting people to do what we need them to do for us to be successful? My worship pastor has been leading in the same place for 17 years. That’s lots of relationships. That’s 35,360 hours. That’s endurance. That’s not allowing feelings of under-appreciation to get the best of him. By staying the course, he’s been part of living out the vision of a ministry. It also means that his children get to live out lasting relationships instead of having to find new ones every few years. Sprinters make poor marathoners. Long distance runners learn to set, meet and celebrate reasonable short-term goals (like making it to the next mile-marker!). 10,000 hours is five years. Instead of giving ourselves three to five months to be “successful” (whatever that is! ), assume it’s going take three to five years. If we achieve some measure of effectiveness before then, count it a blessing. We must learn that the next ministry opportunity should only happen when God releases us from the last one. We must resist the temptation to imagine ourselves being responsible for something to which God has called someone else. If we’re always focused on the end product, we’ll never be satisfied until things go just as we’ve envisioned. This may be an unrealistic expectation because things rarely turn out as planned. By making the most of every moment along the way, we’ll enjoy the ride rather than marking progress toward a goal that always moving out of reach. Developing relationships is one of the most effective ways to enjoy the process. In the end, our accomplishments may be better written in relationships rather than on resumes. 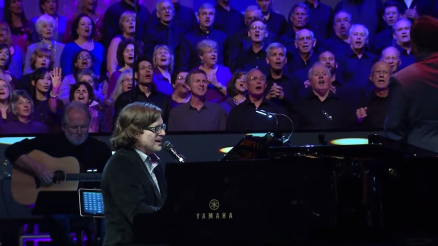 The time we take to encourage that guitarist in the band or that quiet alto on the third row in the choir may forever be etched in their minds. Start planning to get to know more people on a personal basis. A smile or a laugh will be remembered long past being accepted as the ‘new’ worship leader at another church. Don’t plan to leave. Plan to stay and make memories. So what will it take for you and me to dig in? 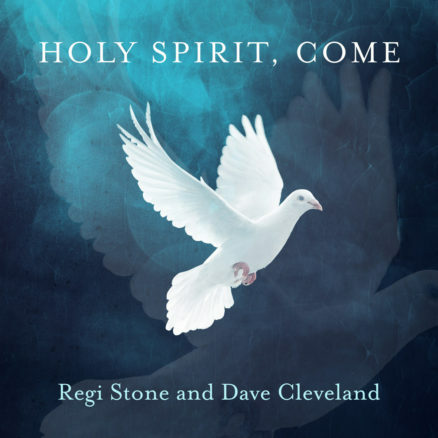 Regi Stone is a worship leader and songwriter based in Nashville, TN. In addition to leading churches across the country in "Worship Weekends", Regi is the President of Discover Worship, an online church music resource. Contact him here.